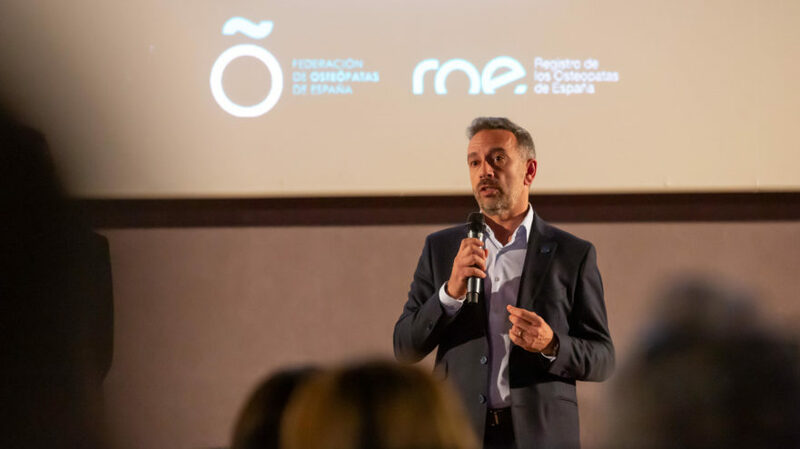 The film “The Science of Osteopathy” was recently presented in Madrid at an event organized by Registro de Osteópatas de España (ROE) and Federación de Osteópatas de España (FOE). The Directors, Juan Castillón and Raúl N. Cortés, have interviewed 30 osteopaths, researchers, doctors, professors and politicians from 11 countries, to create a movie that shows the historical development of osteopathy in the world; it’s position within the evidence-based medicine and the importance of proper osteopathic educational programs. The film also points out some of the difficulties several countries are facing to regulate the osteopathic profession. “The Science of Osteopathy” is the dream of an osteopath, Juan Castillón, and we are convinced that everyone, both osteopaths and the general public, will enjoy watching the film.